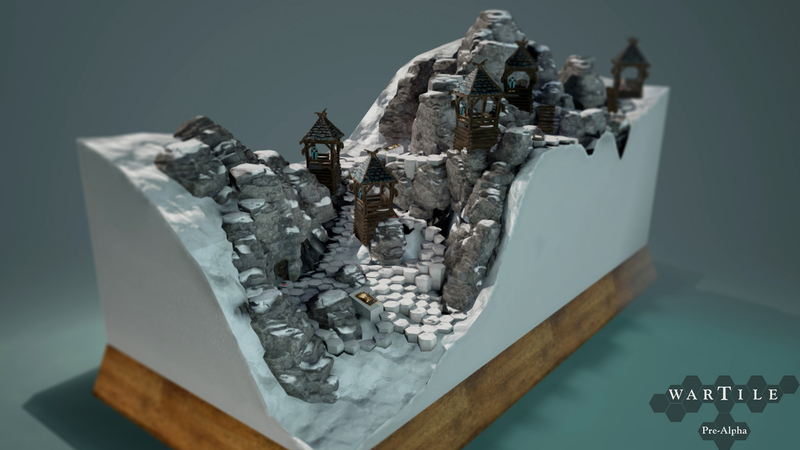 Yesterday we brought you our first impressions of the pre-alpha build of WARTILE, a game just put onto Kickstarter by Playwood Project Aps. 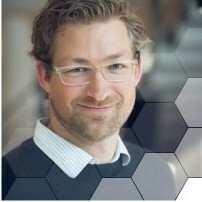 Michael Rud Jakobsen founded Playwood Project Aps in 2014 after 7 years of working at IO-Interactive. We got the chance to put a few questions to Michael regarding WARTILE and their Kickstarter campaign. The team has a lot of experience working on AAA titles. What made you want to break off and develop something of your own? For me, I’ve always had a dream to one day create and develop my own game. Obviously, I knew in order to do that, I needed a lot of experience in game development, also to be taken seriously in the industry. The best path to that dream would be to work on a AAA-production at a famous studio. After almost 7 years at IO-Interactive, working on Kane & Lynch 2 and the new upcoming HITMAN, I felt it was time for me to try out new challenges. AAA productions require a very long production time, with fairly big teams, which in many ways are extremely inspiring as you work with some of the best in the industry. But it can also become creatively exhausting, as you sometimes are or feel too far away from influencing the result or direction of the work you are doing. So, instead of losing the creative fire that burns within me, it was time to break loose and develop something of my own. Today we have a team with of experienced developers and some incredibly talented freelancers, and I think it’s the creative independence to choose by yourself what to work on, or have the ability to love what you work with, that really drives people. Where has the inspiration for WARTILE come from, both in terms of theme and gameplay mechanics? The playfulness of childhood memories was the strongest inspiration. I was brainstorming many ideas in the first period, but one day suddenly I remembered myself, in the garden playing around with my D&D figurines, making small huts of branches and walls of stone. That feeling, of playing with miniature figurines, is also what makes me tick today – especially when playing board games or seeing friends setting up their Warhammer collections. I knew I had to investigate in that direction. To create a digital table top game with live figurines and game boards. From there on, we had iteration after iteration, drawing inspiration, not from other computer games, but from the real world where things are made and played with the hands and around a table. Are there any plans to add VR support? I could see this working well with an Oculus/Leap motion combination for example. We actually visited Khora in Copenhagen to discuss the different possibilities of making a solid port for VR, and these guys where really excited – as you say WARTILE would be a really good fit for Oculus. So we definitely want a port for VR coming up, the question is more when. Beyond the Vikings and English available in the pre-alpha, can we expect to see other factions or multiple campaigns? I certainly hope so. 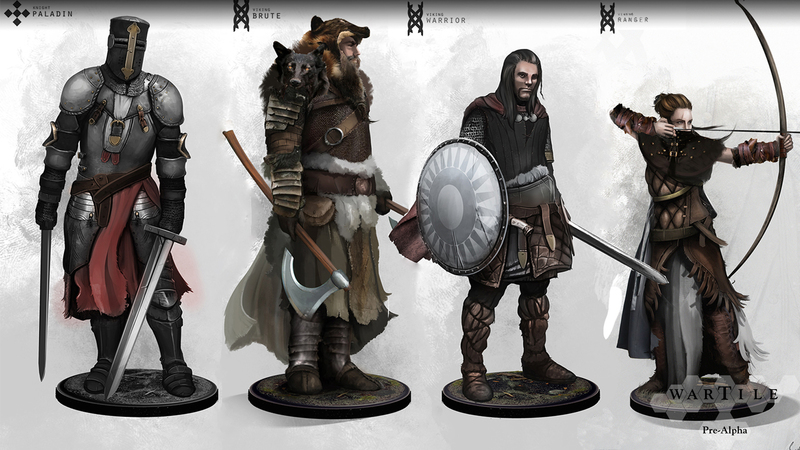 We see the WARTILE universe as a platform where we, in time, can build and expand into a lot of different cultural campaigns, small independent stories, new multiplayer modes and game boards, figurine classes etc. The Viking Campaign is the first playable campaign we’ve introduced. After that, we aim at a close follow up with the English single player campaign. And without revealing too much of the stretch goals from the Kickstarter, let’s say it could be fun to make something with the Templar Knights and Crusaders, or Spartan warriors during the Persian conquest or other fascinating historical eras and mythologies. Are the campaigns going to be based on historical characters (such as Ragnar Lodbrok), or just thematic? It’s going to be thematic; we actually had the ambition to be very historically accurate, but we soon came to learn that it didn’t really do any good for the direction of the game. So we changed to be inspired by historical events and characters, as well and mythologies and ancient lore. Meaning you might see some fantastical beasts in WARTILE, but not dwarves and elves. This approach allowed us to be much more playful with both the story and the game mechanics. Looking at the Kickstarter campaign you have a lot of pledge tiers with some great rewards, but no stretch goals. Have you plans for any if the campaign looks to be going well? Of course! They also have a lot of great rewards, as the Stretch goals are building up. The plan is to show them when we have reached our goal. They contain some great surprises and additions to the game – ones we are certain that our backers would die to see within the game, and that we would love to develop. You obviously have an interest in board games too (as do we!). What are your all time favourites, and which games have been gracing your tables recently? We come from a childhood filled with lots of Dungeons and Dragons, Warhammer, Gettysburg, advanced squad leader and the joy of painting figurines and building landscape models. Our current background is very much videogames and don’t really get enough time to play board games as often as we’d like, but Splendor and Small World are our latest. Where can I get a physical Battle Board diorama? They look too good not to have one! Thanks a lot. We agree, we are talking about if it should be a really exclusive handmade one in 1:1 scale or, a small simple 3Dprint, what do you think? I think fans would love to see a 1:1 scale model! We thank Michael for answering our questions and wish him and his team at Playwood Project the best of luck with their Kickstarter campaign. Remember to check out our other articles on WARTILE on the site, as well as the First Look video series below.